Unsure if your building is haunted by spirits or termites Want to know the secret ingredient behind grandma’s famous apple pie Then call Jaspar Windisle and let him use his 300 years of experience channeling the dead to tell you whether the answer is bourbon, termites, or “fly, you fools.” While he usually shouts out that last answer while already running, everything changes when a very, very old friend calls in a favor and asks him to come work for Jesticorps on a mall project in Towenridge, cryptid capital of the Northwest. Jesticorps, the only company crazy enough to want to bring the convenience and reasonable prices of a mall to a town where the works of H.P. Lovecraft are taught in history class, the town council policy on evil cults involves a shotgun and a shovel, and most of the residents appear to be either part of an evil clone army or are all just one very busy practical joker with a lot of wigs. 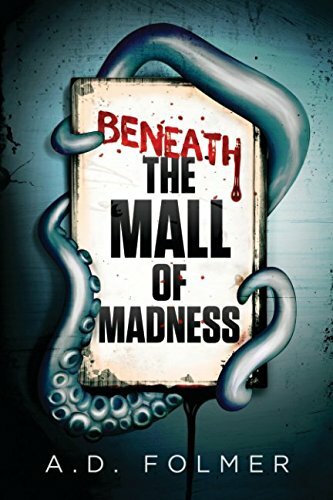 Will Jaspar find the key to unlock the interdimensional portal under the mall Can he put down the occult goldfish uprising Do any of the "outside law enforcement agents" turning up in town actually work for the government Answers to all of these questions and more in Beneath the Mall of Madness!